Be afraid, be very afraid, in a good way. You may just have so much fun at the new Club Med Tomamu ski resort in Japan that you may cling to the front door, kicking and screaming as the transfer bus drags you back to reality. Club Med, for the uninitiated, is an all inclusive resort style concept created by those crazy French folk who love a party at the snow, by the beach, on an island, near a mountain. The globe is dotted with Club Meds that are rated by their ‘tridents’ (3, 4 and 5 Tridents) and offer a one price all inclusive experience. For skiers and boarders this is a good thing. Pay your mullah up front and don’t pay another cent. That’s right, kids club, ski school, lift passes, all meals, snacks, beverages, booze, entertainment all covered. Europeans already know the delights of Club Med in the Swiss, Italian and French alps where Club Med villages sit within traditional ski towns serving up literacy miles and miles of piste. In Japan, Club Med Sahoro, has been catering to the beginner to intermediate skiing families since 1987. But now there’s more. Club Med Tomamu opened in December last year, in time for one of the best snowfall seasons of Japan. The resort has been purpose built from scratch, which means the company’s 65 years of experience shows in the village design. The resort boasts 400 rooms and has different ‘wings’ that are all combined by walkways and open hallways held together by the main communal lounge area, a fusion of part library, part theatre and part cocktail bar all with a full floor to ceiling view of the slopes outside. On any given hour you may find cooking demonstrations, apres snacks, karaoke competitions, dance nights and more thanks to a thriving ‘entertainment’ schedule. Those of us who prefer our entertainment more intimate and low key, sans children, may retreat to the Nest, a stunning glass style bar in the woods, deep in the snow with whiskey bar, recessed lounges and vaulted ceiling. Hungry? Four different dining areas offer a seasonal perspective with different hues to represent the different seasons. All are connected by the central smorgasbord where themed cuisine nights are held daily. It is here that guests congregate for breakfast, lunch and dinner, peruse the mammoth amounts of cuisine on offer, make their choice and head to the season that inspires them to dine. Rooms are large and spacious, unlike the traditional small rooms of Japan accommodations, and come with huge windows that let the outside in. Beds are also enormous, again unlike the rest of Japan. I seriously lost myself in my king sized bed on steroids. That’s a good thing. 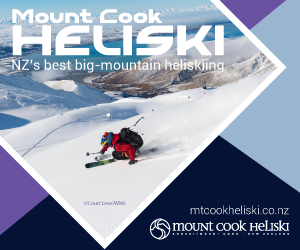 Add childcare, kids club, a fitness studio, a boutique and a stand alone Korean BBQ style restaurant within the village and you’ll see why there is no need to leave, except to ski. But what of the skiing? Tomamu sits ninety minutes from New Chitose Airport at Sapporo and is in central Hokkaido. Snowfall here averages 14 meters of light and dry blower powder each season accessed by one gondola and five lifts. Club Med offer daily group lessons included in your price. Instructors are Level 1 and Level 2 grades, so perfect for kids and beginners to intermediates as half the resort terrain is dedicated intermediate and over a third is beginner. The rest is considered advanced to expert, though be aware if you wish to ski off piste here you must register with ski patrol between 9am and 10am and receive a yellow arm band that must be returned by 3.30pm. If you are caught skiing the trees or off piste terrain without it then they can take your lift pass away. We arrived during a powder storm cycle and there were still fresh tracks to be had at 3pm, simply because most people stick to the impeccable groomers. The off piste is rolling ridgeline with an intermediate pitch for powder lovers, not super steep, and the trees are well spaced but do take a guide if it is your first time as it is easy to get caught in a gully. Skiing under the gondola is prohibited, no matter how good it looks. 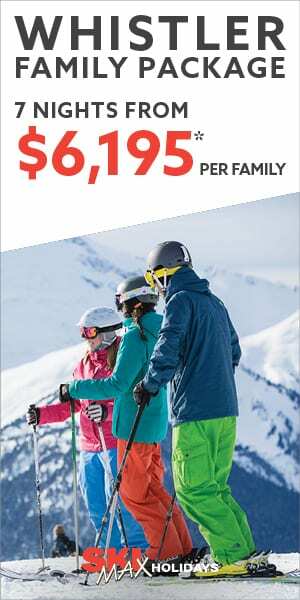 There is a cat ski experience available in the overall resort through Hoshino Resorts (There is a cat ski experience available through Hoshino Resorts (they own the overall Tomamu ski resort that Club Med operates in but act as a separate entity). It’s important to suspend life as you know it when entering a Club Med and just go with the flow. GO stands for ‘gentile organiseur’ (the Club Med team) and GM for ‘gentile membre’ (guests). The GO’s role is to ensure the GM is having a good time. Club Med staff are chosen for big personalities and a love of entertaining. This means that service can be sacrificed in favour of performance, so be patient. GOs offer an international and multi cultural element to every Club Med so expect folks from all over the globe to add to the experience. Kids love the GO experience and lap up the good times. That’s what makes them so successful with families as children come out of their shells and make new friends while mum and dad get a break. You’ll don an RFID style chip bracelet when you arrive and this is used as your room key and also for any charges for any incidental extras not already covered in the cost. It makes for super easy living and no lost room keys. Also download the entertainment app when you arrive so you can view the daily schedule for activities and events you may or may not want to partake in, including the fitness classes, snow shoeing, talent nights and more. Across the road sits an aquatic centre with wave pool. Inflatable giant swans and the like can be rented and the wave machine works every fifteen minutes to create a ‘beach like’ experience, only pool floor tiles not sand. Two lifeguards stand watch and the centre also has gender segregated onsens and a cafe. Take the transfer to the ice village for an hour meandering through an ice church, ice whiskey bar, ice skating rink, ice art gallery and a giant ice slide. A fun way to lose an hour or so after dark. It’s possible to ski over to Tomamu’s ski in ski out restaurant alley, Hotalu Street, where you’ll find a series of hip eateries including a poke bowl restaurant, dedicated dessert bar, curry restaurant and a cool ski retail shop. If you’re looking for a view then head to the top floor of the Hoshino towers (you can’t miss them) for a sushi lunch. Avoid Chinese New Year as most of the expat communities and half of China descend upon Tomamu during those times and the resort gets very full (though you’ll never wait for a chairlift either way). January is Australia month thanks to summer school holidays, so if you have kids and you want to mingle with fellow Aussies then is a good time. If you don’t, then February is the better option. 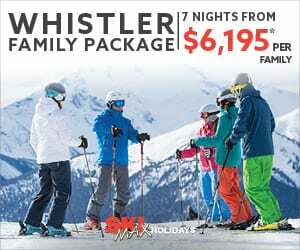 Check out www.clubmed.com.au for more info, package deals and early bird bookings.